Arabian women will forever hold the record for being the lasts to be legally allowed to go behind the wheels. Driving ban lifted aside, there’s actually a few more things that they’re not allowed to do in Saudi Arabia. Let’s have a look, shall we? Saudi Arabian women are not able to travel alone without the permission of a male guardian. They need to get permission to apply for a national identification card or passport. 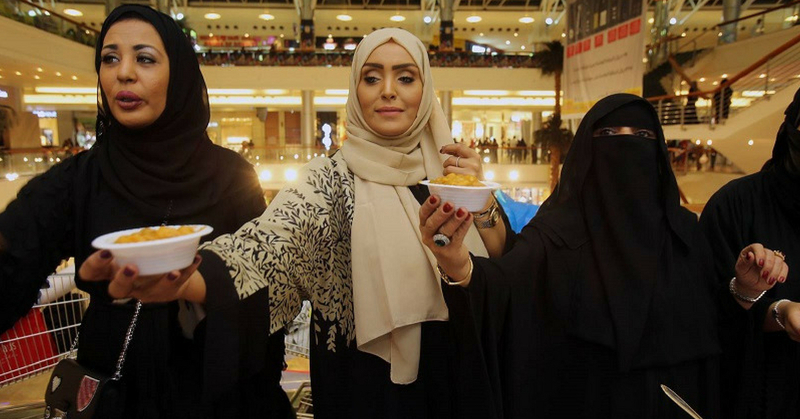 Saudi Arabian women must always wear a full abaya which include a head scarf. The face is not a must to be covered but sometimes we will still found that some of the women will just cover from head to toe. This dress code was set by the Saudi government which strictly adhere to the Islamic law. Women should not talk intimately in public with their husbands. They may go out with other male friends, provided they maintain a distance from them. Men and women do not usually intermingle in public gathering and occasions. Traditionally, women don’t have much say when it comes to entering a marriage or even a divorce. They need to go through these from their male guardian’s permission. Women are not allowed to use public swimming pools and they can only swim in private or female-only gyms and spas. So ladies, now that we’ve learn quite a bit about the don’ts of Saudi Arabian women, we should treasure what we have here in Malaysia.